This 1U LCD console offers a space-saving solution for managing and monitoring your DVI or VGA servers and KVM switches from your server rack. This LCD console features a front panel USB hub, giving you access to two USB 2.0 ports for connecting external peripherals devices. The USB hub makes it easy to add a flash drive to install software on your servers. 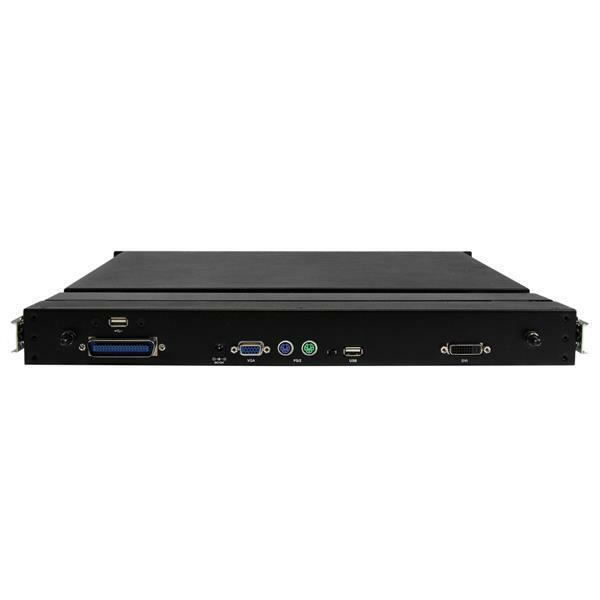 Unlike some rack consoles, this versatile device supports VGA and DVI resolutions up to 1920x1080, which ensures a crystal clear high-definition display. This high-resolution console gives you more screen space enabling you to run multiple applications on the same screen, increasing your productivity. 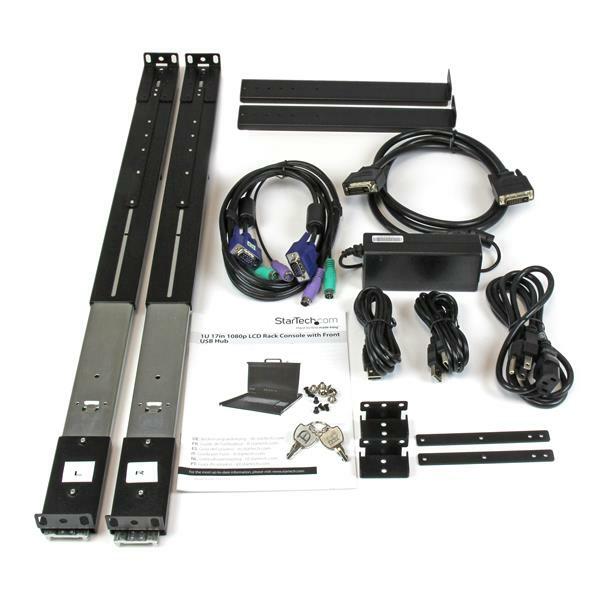 The rack console features a single-port KVM module, enabling you to connect it directly to a server or to multiple KVM switches in a cascaded (daisy-chained) configuration. 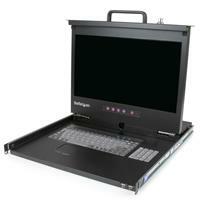 The KVM module offers the versatility you need for easily integrating the console into your existing server infrastructure. 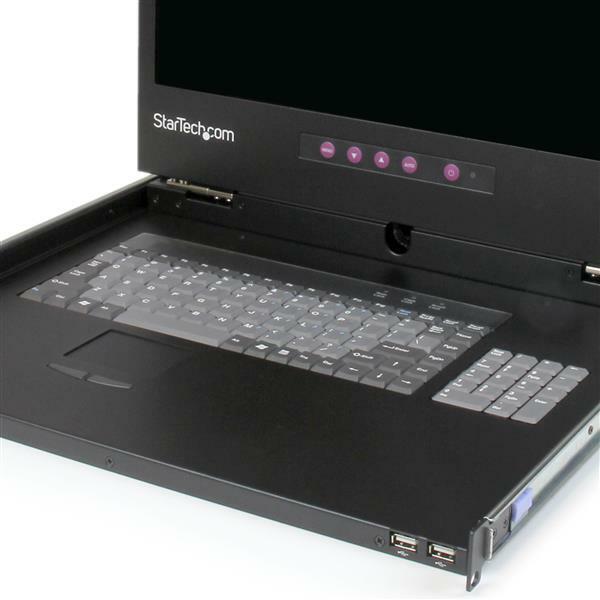 The RKCONS17HDEU is backed by a StarTech.com 2-year warranty and free lifetime technical support.